As we enter into the season of giving we here at Feral Media have a special gift for you. 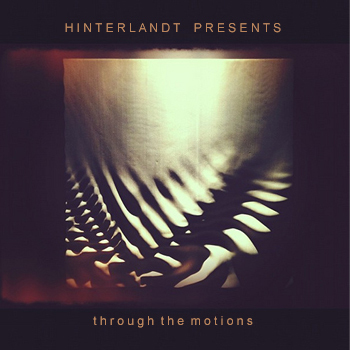 Hinterlandt Presents: Through The Motions is our latest release and is available as free download from the Feral Bandcamp store. Through The Motions is a curated compilation evolving around the Hinterlandt track Motion, taken from his album Migration Motion Movement released earlier this year. A couple of months back Hinterlandt (aka German-born musician Jochen Gutsch) asked fellow Australian artists AFXJIM, Broken Chip, Godswounds, Lawrence English, Puzahki, Seaworthy, Simo Soo and Telafonica to create new pieces based on a handful of tiny sound snippets from the original track. The resulting compilation is breathtaking and the inividual tracks are as diverse as the artists themselves. This entry was posted in Audio and tagged afxjim, broken chip, feral media, godswounds, hinterlandt, lawrence english, puzahki, seaworthy, simo soo, telafonica on December 7, 2011 by Danny.